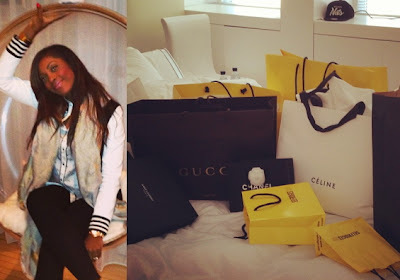 Nigerian songstress Tiwa Savage is living a good life… The hard working musician was spotted on the streets of London on Tuesday the 30th of April, 2013 shopping away. Tiwatope Savage is currently in the United Kingdom with her manager and fiance Tunji Balogun and D’Prince. The three are on the set of a new music video. See the beautiful engagement ring on her finger. She is definitely living big.